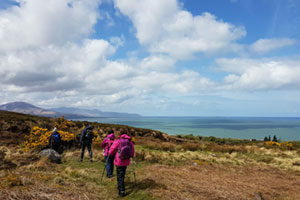 The Kerry Camino is one of our most popular hiking in Ireland trips. In former times Dingle was one of the departure points in Ireland for boats which took pilgrims to the Northwestern Spanish port of A Coruña. From here the pilgrims set off on foot to Santiago de Compostela. In order to get to Dingle in the first place, the pilgrims would have made their way from all over Ireland and the final part of their journey would have taken them from Tralee and across the Dingle Peninsula. As you follow this path you will not only be walking in the footsteps of these pilgrims, you will be travelling through an area which was home to St Brendan, also known as Brendan the Navigator, in the early 6th century. He used this part of Kerry as a base from which he set sail to spread the word of God along the coasts of Ireland, Scotland, Wales and Brittany. It is also widely believed that Brendan was the first European to reach America. While the route pays homage to these explorers it is also recognised as being one of the most scenic walking routes in the country. 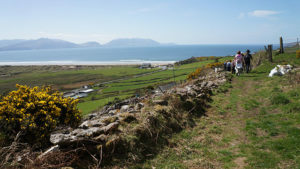 With breathtaking views over the Atlantic Ocean and the mountains of Kerry, the walk will bring you through areas of stunning natural beauty and small villages with cosy pubs and friendly locals. If you are looking for a short break hiking in Ireland, this should be top of your list. 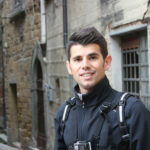 You will start The Dingle Way in the busy town of Tralee, famous for its annual Rose of Tralee festival, an international competition celebrated among Irish communities all over the world. 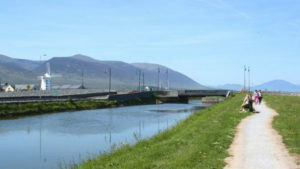 Tralee is the starting point of the Kerry Camino, joining the towns of Tralee and Dingle which are popular towns along the Wild Atlantic Way. On the way from Tralee to Camp the way passes the entrances to several impressive glacial valleys, a number of streams make their way towards the sea. These are easily crossed by either bridge or stepping stones. Features of interest to keep an eye out for along this mountain section are an old Victorian-era reservoir that used to supply water to Tralee. Towards the end of this section the trail descends onto a hedge-lined stone path which used to be the old Tralee-Dingle road in the distant past. The preserved ruins of Killelton Oratory can be found alongside the trail here to the left of the path. This part is often used as a cattle drove which means it can get quite mucky. Several stiles have to be crossed before finally reaching a tarmac road. The walk from Camp to Annascaul is very gentle, predominately along quiet boreens which wind through the countryside, offering views of the mountains and the North Atlantic ocean. 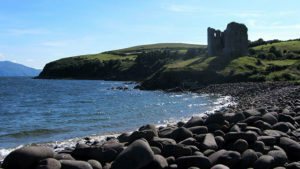 When you reach Annascaul you can take a walk on Inch Beach. This is one of the longest beaches on the Atlantic coast and offers stunning views of the surrounding mountains. Today is a long day walking along rural roads and coastal tracks until you turn inland, gradually gaining altitude as you climb. Eventually it will be all down hill to the picturesque fishing village of Dingle. This is one of the top villages to visit along the Wild Atlantic Way route and the finish point of the Kerry Camino. There are plenty of cafes, pubs, restaurants and other places of interest to explore. Kerry Airport to Tralee | Taxi | Travel time 0H30 taxi from outside the terminal | Fare €40 approx. Kerry Airport to Tralee | Bus No.285 | Travel time 0H30 from outside the terminal | Fare €9 return approx. Cork City (Cork Kent Station) to Tralee | Irish Rail | Travel time 1H15, leaving every 4 hours | Fare €30 each way approx. Cork City (Cork Bus Station) to Tralee | Bus Éireann | Travel time 2H00, leaving every 2 hours from mid morning to mid day | Fare €40 return approx. Dublin Airport to Tralee | Bus Éireann | Travel time 6H00, leaving every 2 hours from mid morning to evening with a change in Limerick | Fare €50 return approx. Step 3: Dublin City Centre (Heuston Train Station) to Tralee | Irish Rail | Travel time 3H50, leaving every 2 hours | Fare €20-€40 return approx. Step 3: Dublin City Centre (Busaras Bus Depot) to Tralee | Bus Éireann | Travel time 3H40, leaving every 2 hours from morning to mid day | Fare €50 return approx. 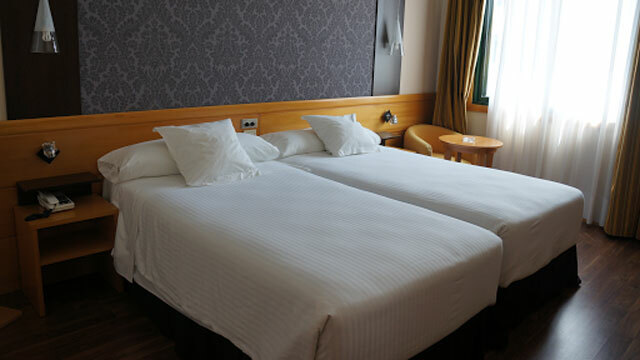 Includes: Holiday pack and maps, all rooms with private bathroom, 24/7 support during your trip and GPS data files.